And oh yes, for those interested in the Boy WOC, check the one on the front in pink and golden hardware. Shopping spree time? You might have already looked into the Spring Summer 2016 Bag Collection Act 1. Well, we’re here to share the best seasonal bag and it’s the Chanel Diagonal Quilted Flap Bag. 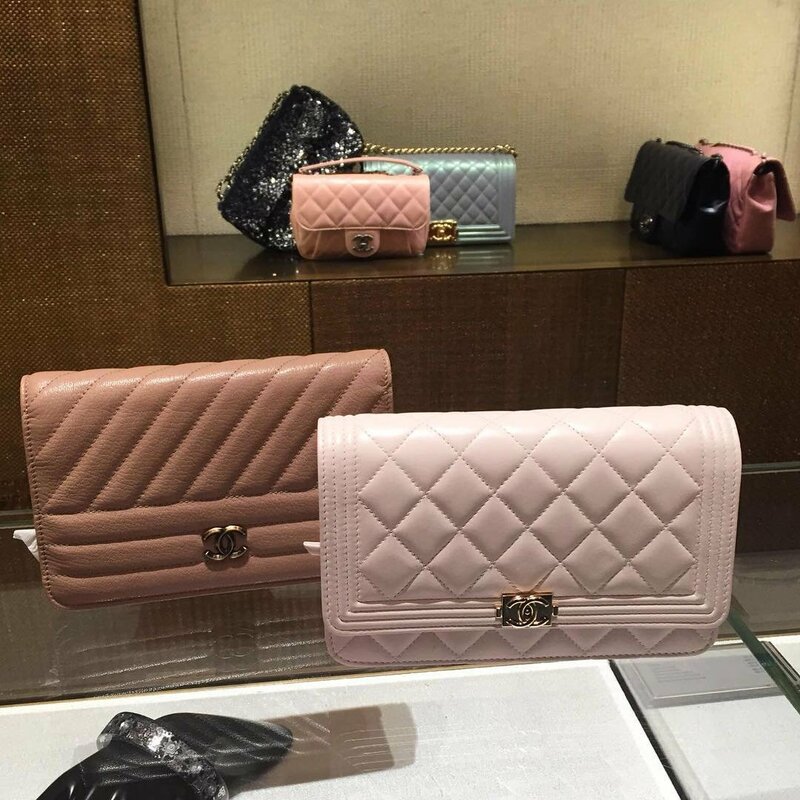 It’s the first reaction we got from the community – the Chanel Diagonal Quilted Flap Bag is a must-have. First it got the quilted cover that’s not only unique but also time-tested. You can use this bag for years and it’s still in-style. And can it survive that long? Well, it’s made from strong and durable goatskin, so if you take a good care of it, you can use it for a long time. The gorgeous CC logo is melting our heart away, it’s the new type. The bag features chain links and is available in different colors and two sizes; medium and large. For more details, visit: Chanel Spring Summer 2016 Seasonal Bag Collection Act 1.